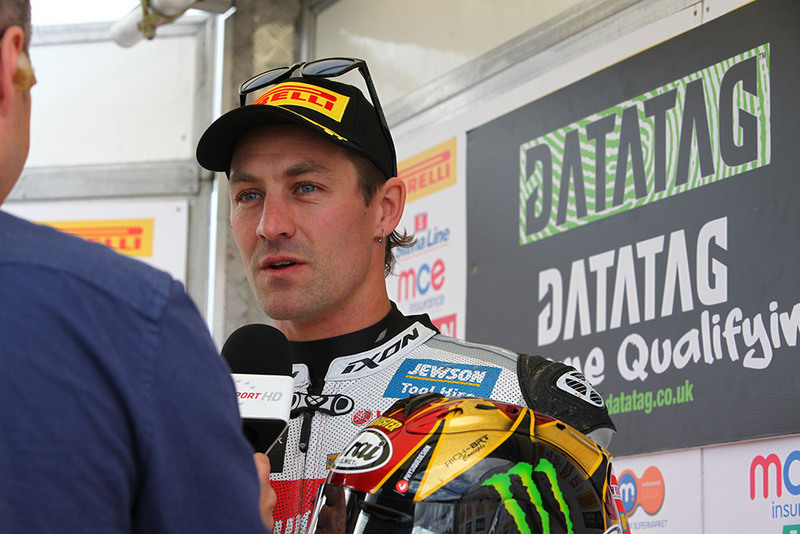 Josh Brookes leaves Thruxton as the man to beat in the MCE Insurance British Superbike Championship as the Milwaukee Yamaha contender continued his winning momentum by claiming a double victory in Hampshire. The Australian now leads Shane 'Shakey' Byrne in the standings by 12 points ahead of Cadwell Park. Brookes again hit the front of the pack on the opening lap in his bid to continue his winning run ahead of John Hopkins and Byrne with Dan Linfoot, Danny Buchan and Howie Mainwaring in close contention. Hopkins was hunting Brookes for the lead but the Australian was desperately trying to make the break from the pack. 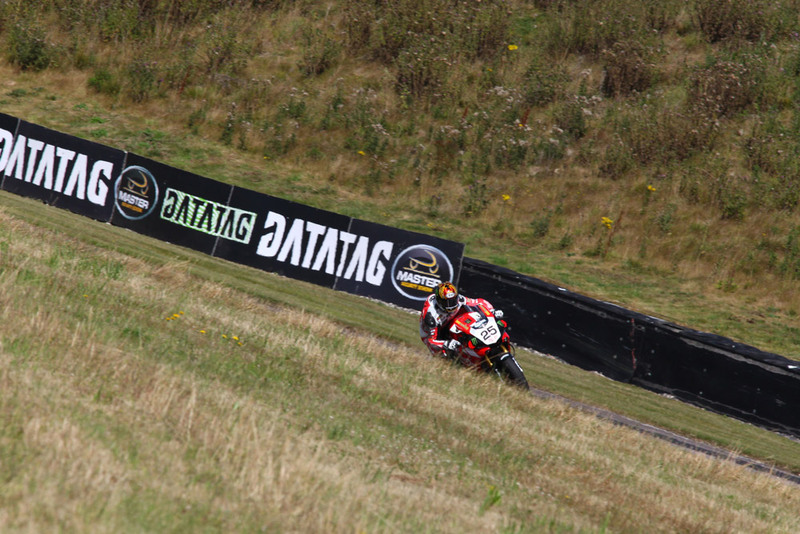 Linfoot was pushing forward though and the Honda Racing rider moved ahead of Byrne on the third lap to displace the defending champion to fourth. Byrne then came under attack from Mainwaring and the Quattro Plant Kawasaki rider made a move to claim the advantage, but as the pair approached the Club Chicane, the defending champion made a lunge to reclaim the position. The pair continued to dice for fourth until the Nissan GT-R Safety Car was deployed when Jack Kennedy crashed out at Campbell. The race resumed on the 15 lap and with five laps remaining and the pack bunched up the battle intensified. 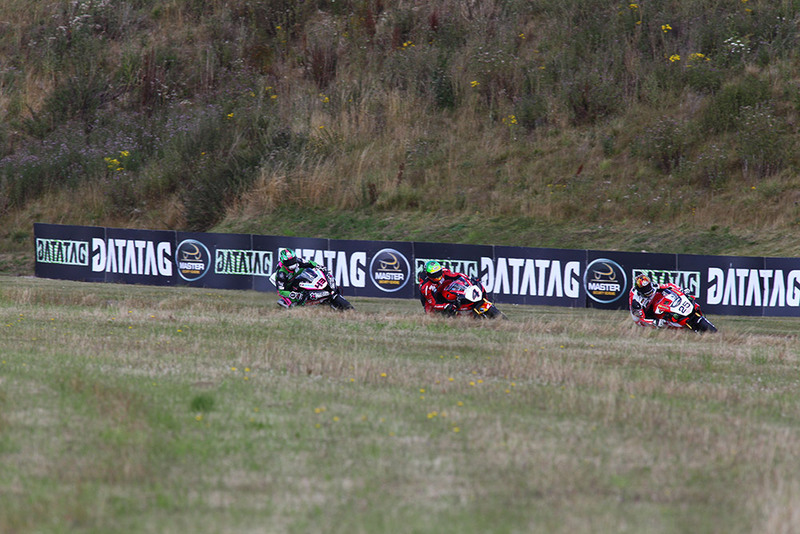 Mossey had a flying start at the restart and he moved second ahead of Linfoot. 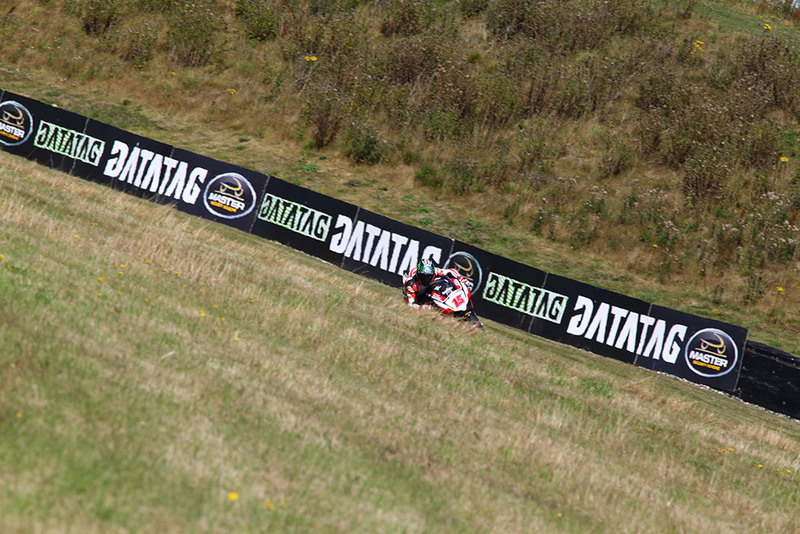 Hopkins crashed out a lap later at the Chicane unhurt, ending his chances of a podium finish. Byrne was not prepared to give up on the podium without a fight and he also made a pass on Linfoot to move third behind Mossey as the pair then scrapped it out for the podium finishes. On the 18th of 20 laps Byrne had moved second, but MCE BSB rookie Mossey retaliated instantly - pulling an impressive move on the PBM Kawasaki rider by taking the outside line into the Club Chicane. The defending champion repaid the move a lap later by drafting down the inside into the final chicane as they fought for the positions to the bitter end. Mossey moved back ahead of Byrne at Brooklands only for the four-time champion to take it back on the run out of Church. The Quattro Plant Kawasaki rider was looking for a final chance at the Club Chicane but Byrne defended hard to hold second as Brookes secured the victory. Tommy Bridewell bounced back from his huge race one crash to claim fourth place and move back inside the top six in the standings for Tyco BMW, holding off Linfoot and his team-mate Michael Laverty. Mainwaring continued his best event of the season in seventh place ahead of Martin Jessopp who claimed his strongest finish whilst Lee Jackson and Josh Waters completed the top ten. 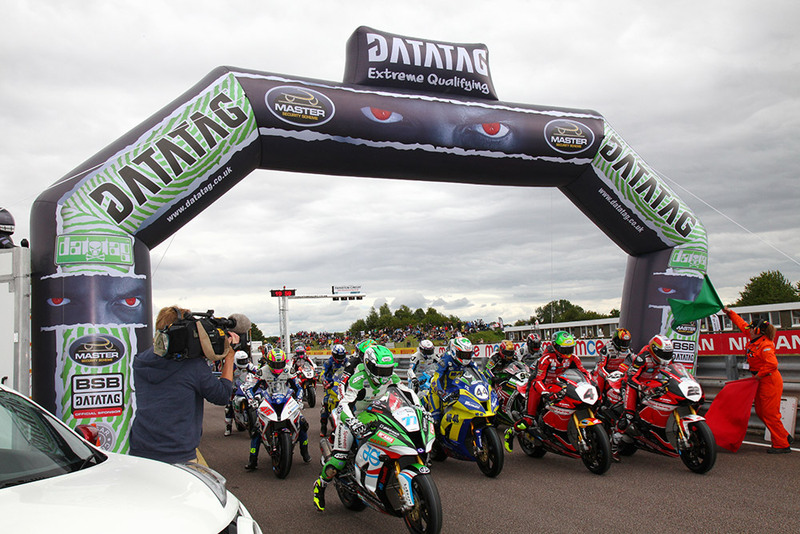 Josh Brookes continued his reign at the top of the MCE Insurance British Superbike Championship by claiming pole position for the opening race at Thruxton, holding off a hard-charging John Hopkins by 0.212s. The pair are ready to capitalise as standings leader Shane 'Shakey' Byrne had a disastrous Datatag Qualifying session and will start 17th for race one. 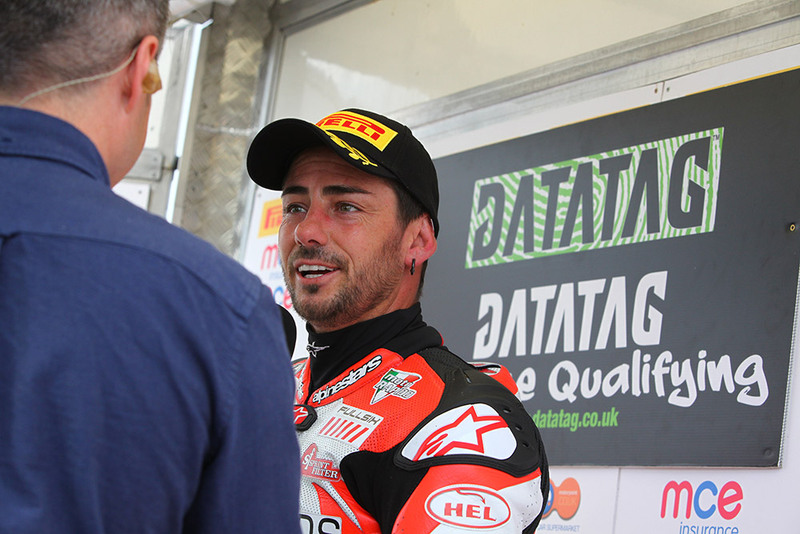 Brookes had been pushing throughout qualifying, but in Q2 Hopkins laid down the marker, proving he was going to fight all the way to the finish for the pole position at the Lloyds British Moto Rapido Ducati team's home round. The Australian and American riders went head-to-head in the final moments of the final session, but the Milwaukee Yamaha rider had the edge to claim his second pole position of the season. 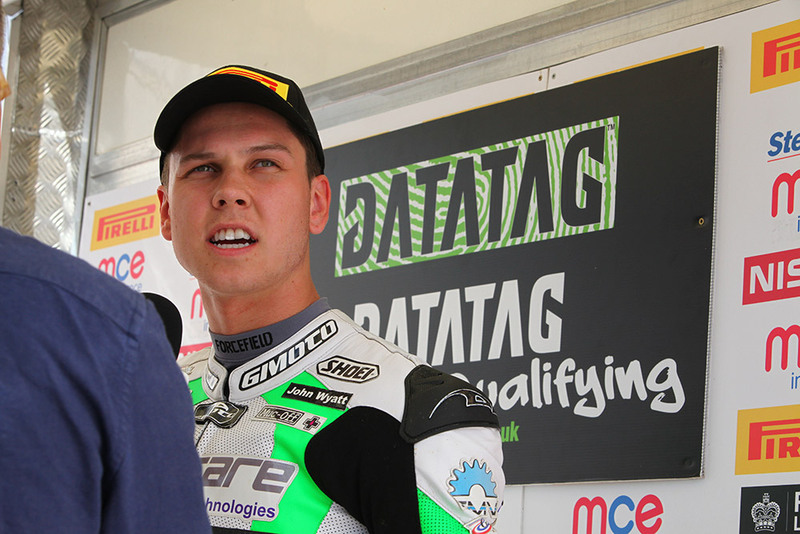 The top three was completed by MCE BSB rookie Luke Mossey who excelled in qualifying to secure his debut start on the front row for Quattro Plant Kawasaki. The trio had held off Dan Linfoot, who became the only Honda Racing in qualifying after team-mate Jason O'Halloran crashed out at Noble in Q2, sustaining a broken right femur. 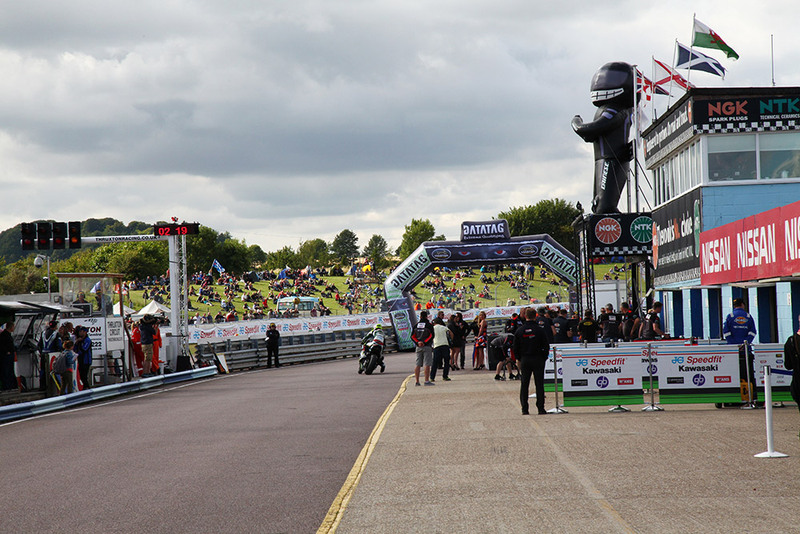 James Ellison was the leading JG Speedfit Kawasaki rider in fifth to start from the second row alongside Peter Hickman on the RAF Reserves BMW in a top ten that featured six different manufacturers. Christian Iddon will head row three for the Bennetts Suzuki team ahead of Richard Cooper on the Anvil Hire TAG Kawasaki as Danny Buchan and Howie Mainwaring completed the top ten. 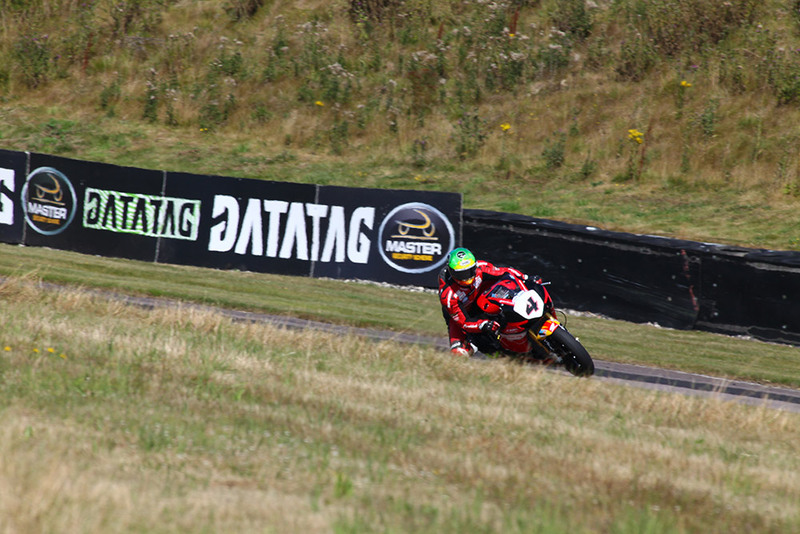 The Thruxton Datatag Qualifying session will give some of the leading contenders some hard work to do tomorrow as Tommy Bridewell starts 11th, Byrne on the PBM Kawasaki in 17th, Michael Laverty in 20th and Ryuichi Kiyonari in 22nd position.